Facing criminal charges of any kind can be a frightening experience and you may not know where to turn. If you have been charged with driving under the influence of drugs or alcohol or while intoxicated, a Houston DWI attorney can prepare you for what to expect and discuss a possible defense strategy. If you’ve been charged with drunk or impaired driving, the prosecution will need to prove their case against you beyond a reasonable doubt. As your Houston DWI lawyer can explain, this generally means they must prove that you were in fact driving and impaired by drugs or alcohol. Your Houston DWI lawyer will scrutinize the circumstances surrounding the traffic stop and/or any evidence collected against you. 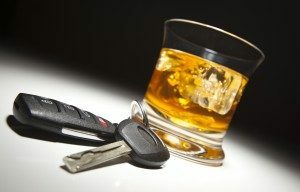 As your Houston DWI attorney can explain, the police must follow certain procedures when conducting a DWI traffic stop. Among other things, they must have a reasonable suspicion that a crime is being committed. This might be satisfied by erratic driving, excessive speed, etc. An arrest may follow if they then have probable cause that you are under the influence. This may result from field sobriety testing or perhaps a breathalyzer. If the police did not have probable cause to arrest you, this could form the basis of a defense to the charges. Regarding the chemical evidence collected against you, your Houston DWI attorney will analyze whether tests were performed properly. If not, your attorney may argue that any evidence collected should not be used against you by filing a motion to suppress. While your attorney cannot guarantee that any defense will be successful, he has the legal expertise to know what to look for. Let an experienced Houston DWI attorney review your case and help you understand how he may be able to build a defense strategy. Call 713-223-1600 to set up an appointment Christopher T. Gore, Attorney at Law. Driving with a suspended or invalid license carries serious penalties that can impact your ability to work and ultimately your freedom. Let a Houston suspended license lawyer help you understand the law and what to do if you face suspension. Regardless of the reason for the suspension, a Houston suspended license lawyer can help you choose your best legal options for seeking reinstatement. As your Houston suspended license lawyer will explain, the Texas Department of Public Safety is responsible for issuing or suspending a Texas drivers license. Therefore, if your license is revoked, you must petition for reinstatement with this agency. Your Houston suspended license lawyer can help you with the paperwork. If DPS denies your request for reinstatement, your next step may be to file an appeal in court. Your attorney can start the process and represent you. In either case, you need to prepare to remove the condition leading to the suspension such as properly registering your vehicle, paying back child support, completing court-ordered diversion training, etc. Seeking reinstatement of driving privileges can be a lengthy, complicated process. If you lose at the agency level, it can be very difficult to win in court. A Houston suspended license lawyer can help you navigate the red tape. Texas automobile laws and license regulations are complicated and often change. Put an experienced Houston suspended license lawyer in your corner if you face license suspension or revocation. Call 713-223-1600 to set up an initial consultation with Christopher T. Gore, attorney at law. When a criminal suspect resists or attempts to evade arrest, this can lead to additional criminal charges tacked on by law enforcement. A Houston evading arrest attorney can review the charges against you and discuss possible defense strategies and educate you on the penalties you may face. The underlying arrest was lawful. Since evasion of arrest has distinct elements, a Houston evading arrest lawyer will analyze the evidence against you. For example, if the underlying arrest was not lawful (i.e., the officer lacked probable cause), the evasion charge should fail. Likewise, if the officer was not known to be a peace officer, a Houston evading arrest attorney may argue that the evasion charge must fail. An illustrative example may be helpful. If an officer has probable cause to believe a defendant shoplifted, pursues the suspect and the suspect flees, this could lead to charges for both shoplifting and evasion of arrest. If the defendant is then cleared of shoplifting, the arrest evasion charge may still survive. A Houston evading arrest attorney can review what to expect during the criminal process and help you understand possible defenses that may apply. If you face criminal charges, set up a consultation with a knowledgeable Houston evading arrest attorney as soon as possible. Call the offices of Christopher T. Gore at 713-223-1600. Facing juvenile criminal charges can be a life-altering event. The thought that mistakes made as a child may follow a person around for life can create understandable stress and anxiety. Talk to an experienced Houston juvenile offenses lawyer about how best to handle juvenile charges. Texas courts treat juvenile offenders differently than adults. As a Houston juvenile offenses attorney can explain, the goal of the juvenile criminal justice system is rehabilitation as opposed to punishment. Children between the ages of 10 and 16 who commit crimes such as shoplifting, assault, etc. may find themselves in the juvenile system. A Houston juvenile offenses attorney can explain the charges and help the child and parents understand potential penalties and defense strategies for dealing with them. Additionally, your attorney can discuss circumstances that might lead the prosecution to request the child be tried as an adult. If you or your child was convicted of a crime as a juvenile, a Houston juvenile offenses attorney can discuss ways to have the record sealed. Just because an individual has a juvenile criminal record, this may not have to follow them for the rest of their lives. A Houston juvenile offenses lawyer can explain how to apply to have the court record sealed so that you don’t have to disclose the conviction to future employers etc. It's important to understand that expungement or a request for sealed records does not happen automatically. You must file a petition in court and the judge will ultimately decide whether to issue an order. A Houston juvenile offenses lawyer has the skill and knowledge you need to walk you through the process. If you have just been charged or were previously convicted of a juvenile offense, speak to a knowledgeable Houston juvenile offenses lawyer about how to handle it. At the offices of Christopher T. Gore, Attorney at Law, you can set up an initial consultation to discuss your case. Call 713-223-1600 today. If you’ve been convicted of a crime either as an adult or a juvenile, there may come a time when you wish to have your criminal history sealed. A Houston nondisclosures attorney can explain the process by which you can seek an expungement. If you’ve been convicted of a crime, you may have options for requesting an expungement or sealing of your record. A Houston expunctions lawyer will review your case and help decide if you are eligible. 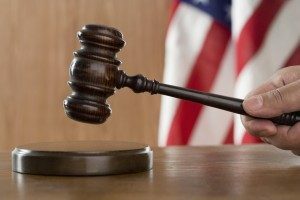 In many cases, you may have been required to complete a diversion program. This often happens if you were convicted of a substance-abuse related crime. When you complete the program or probation, you may apply to have your records sealed. As a Houston expunctions lawyer can explain, this may also be true for certain juvenile convictions. Expungement does not happen automatically. A Houston nondisclosures attorney will explain how the responsibility falls on the criminal defendant to apply for the expungement. The conviction will not simply go away on its own after a period of time. A Houston nondisclosures attorney can assist with filing a petition or request in the appropriate court. If you meet certain conditions, the court may grant the expungement request and your criminal history will be sealed. This means criminal reporting agencies will not have access to it and you will not have to disclose it to potential employers. As your Houston nondisclosures attorney can explain, your behavior is important in determining your eligibility for expungement. If you violate any court orders or probation terms, commit further crimes or fail to complete a court-ordered diversion program, for example, you may not be able to have your criminal record sealed. At the offices of Christopher T. Gore, Attorney at Law, you can speak to an experienced Houston nondisclosures attorney who understands how important your case is to you. Call 713-223-1600 to set up a consultation to discuss your legal matter. If you are on probation, its important to understand the terms and conditions of your probation and consequences you might face for violating it. A Houston probation attorney can help. If you face revocation of probation, you need skilled representation. When a criminal defendant receives a sentence of probation, they must follow certain conditions. A Houston probation lawyer can review the term of your probation to help ensure you fully understand what’s expected of you. For example, you may be required to submit to drug testing, report to a probation officer, seek employment and possibly refrain from contacting the victim of the crime involved. As your Houston probation lawyer will discuss, if you violate any of the terms of probation, you risk having your probation revoked and serving additional jail time. If your probation officer feels you’ve violated probation, he or she may file a motion with to have your probation revoked. Contact a Houston probation attorney right away. The probation officers request will be forwarded to the prosecuting attorney who will make the ultimate decision whether to take the case back before a judge. Your Houston probation attorney can negotiate with the prosecutor on your behalf. If you face revocation of probation, it's important to hire an experienced Houston probation attorney to represent you. Call the offices of Christopher T. Gore, Attorney at Law at 713-223-1600 as soon as possible to set up an initial consultation. If you have been charged with a gambling or gaming offense in the state of Texas, make a call to a skilled Houston gambling offense lawyer. Your attorney can review your case and help you understand what options you may have in terms of a defense. The gambling industry has changed dramatically over the years. Las Vegas and Atlantic City are no longer the only destinations for legalized gambling. That said, as a Houston gambling offense attorney can explain, Texas still prohibits gambling or gaming outside of licensed casinos. If you’ve been charged with illegal betting, bookmarking, operating an illegal game room or possession of a gambling device, make a call to a Houston gambling offense attorney as soon as possible. Your attorney will carefully review the charges against you. 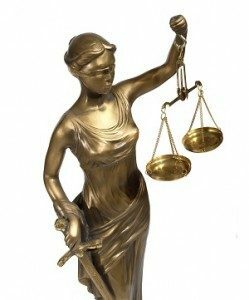 In order to sustain a conviction, a prosecuting attorney must prove each element of the charges beyond a reasonable doubt. When you hire a Houston gambling offense lawyer, he or she will carefully scrutinize the prosecution's evidence. If there isn’t enough to prove every element of your charges, this may form the basis of your defense strategy. Of equal importance to your Houston gambling offense lawyer are the procedures law enforcement used in collecting evidence against you. As your Houston gambling offense lawyer can explain, criminal defendants have various constitutional protections against unreasonable searches and seizures and during arrest and interrogation. If these protections were violated, this could be used to suppress collected evidence. You may also face federal charges for gambling, betting or bookmaking. It's important to seek qualified legal advice to help you understand the nature of the charges against you and potential penalties you may face. Your attorney can communicate with the prosecutor and negotiate on your behalf. You do not have to face your charges alone. Christopher T. Gore, Attorney at Law has years of experience as a Houston gambling offense lawyer. Call 713-223-1600 to set up an initial consultation to discuss any charges that have been filed against you. If you’ve been accused and/or charged with committing a white collar crime, it's essential that you put an experienced Houston white-collar defense lawyer in your corner. 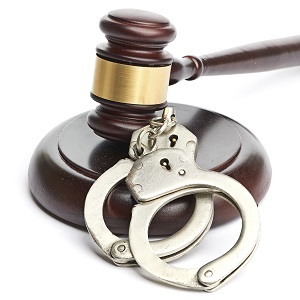 Your attorney can explain what to expect during the criminal court process. The term white collar crime does not have an official legal definition or classification. White collar crimes generally refer to a group of crimes with a financial motive rather than a violent one. A Houston white-collar defense lawyer can explain more, but the types of crimes loosely considered white collar crimes include fraud, embezzlement, bribery, identity theft or other cyber crime etc. Again, the motivation is a financial gain rather than bodily harm to another. When you hire a skilled Houston white-collar defense attorney, your attorney will carefully review how the police conducted their investigation and collected evidence. Your Houston white-collar defense lawyer looks to ensure your constitutional rights to due process and protection against unreasonable searches and seizures were protected. If not, your attorney may argue the evidence is inadmissible. If you’ve been charged with a crime, the prosecution must prove you committed each element of that crime beyond a reasonable doubt. For example, theft crimes require the defendant intended to permanently deprive someone else of their property. If the prosecution can't prove intent beyond a reasonable doubt, the theft charge should fail. A Houston white-collar defense attorney will carefully review the prosecution's evidence against you probing for weaknesses that could raise reasonable doubt. While your attorney cannot promise an acquittal, he will work tirelessly to defend you. If you’ve been charged with a crime, you need the help of a skilled Houston white-collar defense lawyer to help build a defense and represent you in court. Contact the Offices of Christopher T. Gore, attorney at law to schedule an appointment. Call 713-223-1600 today. If you’ve been charged with a theft-related crime, a Houston theft defense lawyer can explain what type of penalties you may face and explore potential defenses that could apply in your situation. Under Texas law, the term theft encompasses a variety of crimes. 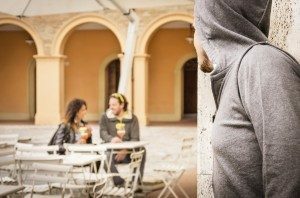 As a Houston theft defense lawyer can explain, theft occurs when a suspect unlawfully takes something that belongs to another with the intent to permanently deprive them of it. Theft can include shoplifting of low dollar value items or embezzlement of millions of dollars. As a Houston theft defense attorney can discuss, its a matter of degrees. Again, under Texas law, theft is theft in terms of the type of crime involved. Your Houston theft defense attorney will explain how the severity of a theft charge directly relates to the value of the item allegedly stolen. Theft of an item worth less than $20 may be classified as a Class C misdemeanor or petty offense. The penalties for this type of crime are less sever and may amount to payment of court costs or fees. A Houston theft defense lawyer can explain how the potential penalties are far more severe the higher the value of the item claimed stolen. If the items value exceeds $200,000, a criminal defendant may face jail time between 5 and 99 years as well as hefty fines. Your attorney will explore the elements of each crime charged against the potential evidence the prosecution has. Additionally, your attorney will review the circumstances leading up to your arrest and after to determine if any of your constitutional rights were violated. Your attorney can negotiate with the prosecution on your behalf if a plea bargain seems appropriate. Trust your case to an experienced Houston theft defense lawyer who can help you understand your best legal options. Call the offices of Christopher T. Gore, Attorney at Law to set up a consultation as soon as possible at 713-223-1600. If you’ve been charged with a sexual assault crime, its important to get skilled representation as soon as possible. A Houston sexual assault lawyer can review the charges and evidence against you and help you understand how best to proceed. The relationship between the alleged victim and perpetrator etc. Penalties can be more severe if the alleged perpetrator held a position of trust over the victim such as a teacher/student; doctor/patient etc. Your Houston sexual assault attorney will review the facts and educate you on what the prosecution has to prove in order to obtain a conviction. If you’ve been charged with a sexual assault crime, its important to understand what to expect. Your Houston sexual assault attorney will review the specific charges and explain whether you face felony or misdemeanor penalties. Your Houston sexual assault lawyer will also carefully analyze how the evidence was collected against you. If there is DNA or other scientific evidence, its important to make sure it was collected properly and within the bounds of your constitutional rights. Additionally, your Houston sexual assault lawyer will scrutinize any witness testimony to gauge how credible it is. Your lawyer will then discuss your options going forward. Facing criminal charges is a serious matter that can impact all aspects of your life. Put your case in the hands of an experienced Houston sexual assault lawyer. Call 713-223-1600 to set up a consultation with the offices of Christopher T. Gore, Attorney at Law. If you or a loved one has been accused of domestic violence or assault against a family member, a Houston assault attorney can help you understand the charges and your legal options. Texas law treats domestic violence very seriously. As a Houston assault lawyer can explain, there are different types of assault charges that may come into play if a family member is involved. A family member can include a spouse, a person living in the home related to the aggressor, someone he/she has had a present or past dating relationship with or someone with whom they have a child in common. Assault can mean actual intentional contact that causes or was intended to cause injury, or merely a credible threat of injury. As your Houston assault lawyer can explain, the assault charges may be more serious depending on the severity of the injury or if a weapon was used. 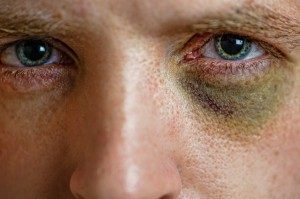 As your Houston assault attorney can explain, Texas may prosecute continuing family violence as a crime if an individual commits an assault against a family two or more times within a year, even if no arrest or conviction resulted. If a loved one has been victimized by domestic violence, they may be able to seek protection from the court. As a Houston assault attorney can explain, the court may grant a protective order or restraining order to prevent the alleged aggressor from contacting the victim. For the alleged aggressor, this can lead to serious consequences if he/she violates the order. If you’ve been charged with assault against a family member, let a skilled defense attorney review your case and help you make good choices about what to do. Put an experienced Houston assault attorney to work for you. Contact Christopher T. Gore, Attorney at Law if you need help. Call 713-223-1600 to schedule an appointment. 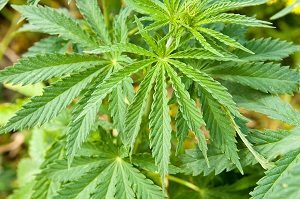 If you face criminal charges for possession of a controlled substance or marijuana, its important to understand what penalties you might face. A Houston drug defense attorney can review the circumstances leading up to your arrest as well as the specific charges against you to help you decide your best legal options. The severity of a drug charge in Texas will depend on the type of substance or drug involved. As a Houston drug defense lawyer can discuss, possession of drugs considered highly addictive with no medicinal value will expose a suspect to the most severe or penalty 1 class. These drugs generally include cocaine, heroine and LSD. Ecstasy, PSP, etc. would fall under the next most severe class. As a Houston drug defense lawyer can explain, prescription drugs such as valium or Xanax would fall into the third most severe category and so on. As a Houston drug defense attorney can explain to you, the type and quantity of the alleged drug possessed will dictate how severe you potential penalty might be if convicted. For example, if convicted of possession of more than 400 grams of a penalty 1 class drug, a defendant can face more than 10 years in jail. For less than 1 gram of the same drug, the potential jail time drops to 180 days to 2 years. Its critical that you consult with an experienced Houston drug defense attorney to make sure you understand the ramifications of the specific charges filed against you. Your attorney can discuss defense strategies and the pros and cons of any plea bargains offered by the prosecution. Regardless of the crime charged, a Houston drug defense attorney can also review the circumstances leading up to your arrest. Law enforcement must refrain from unreasonable searches and seizures. To put your defense in the hands of an experienced Houston drug defense attorney, contact the office of Christopher T. Gore, Attorney at Law. To set up an initial consultation, call 713-223-1600.